I was offered the chance to try out a Wantable box, they are a monthly subscription box which provides handpicked, boutique makeup, accessories and intimates at great value. You can choose which kind of box you would like, out of the makeup, accessories or intimates box. 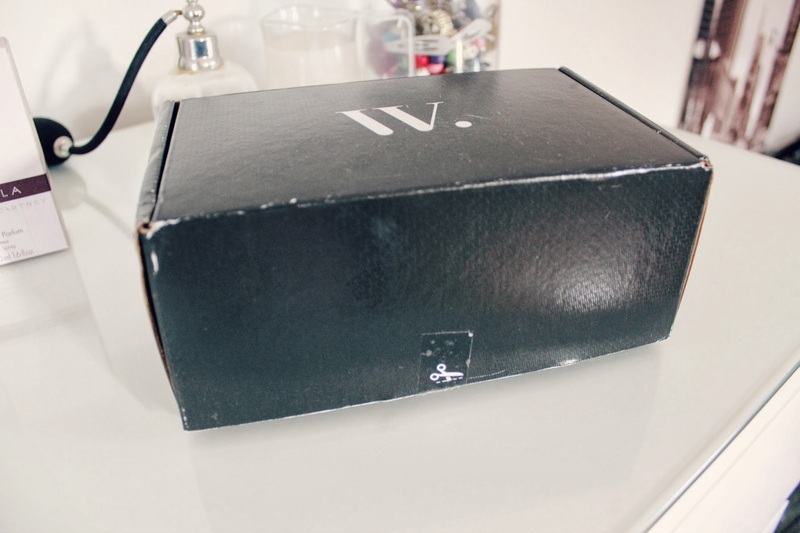 The Makeup box comes with 4 to 5 full size premium items, the accessories box comes with 3 to 4 private label items and the intimates box comes with 3 to 4 luxury brand items. They work with brands like Coobie, NCLA, Bersey Johnson, Steve Madden and FACE Stockholm. Unlike many other subscription boxes, the products are full size! The subscription fee is $36 a month, or a single box for $40, if you add up all the products I received in my box, it equals A LOT more than the $40 you pay so you really do get your moneys worth, it's also a really great way to find new brands and try products you may not normally pick up. The brand focusses on being a discovery platform, every box is personalised based on your style quiz and you will never get sent an item you say you dislike on the quiz. And the great thing for us UK girls is that they now ship to the UK! You can check out their website here! This is a sample product in the box, you get two small samples of the mousse eyeshadow. A really pretty natural lip liner that stops lipstick bleeding, a creamy textured but long lasting liner. It hydrates lips and contains vitamin C and E to help prevent lip lines. A true red lipstick with a semi matte finish and a smooth feather proof finish. The packaging is similar to 1940s lipstick packaging, gold plated bullet shaped case. Enriched with vitamins A, E and C, aloe and green tea. It's such a beautiful shade and it's very moisturising. A brush made of super fine talon, perfect for applying foundation, concealer or primer. A lightweight sheer finish highlighter that reflects light and draws eyes to all the right places! Can be mixed with lotion or foundation to get a glowing complexion. 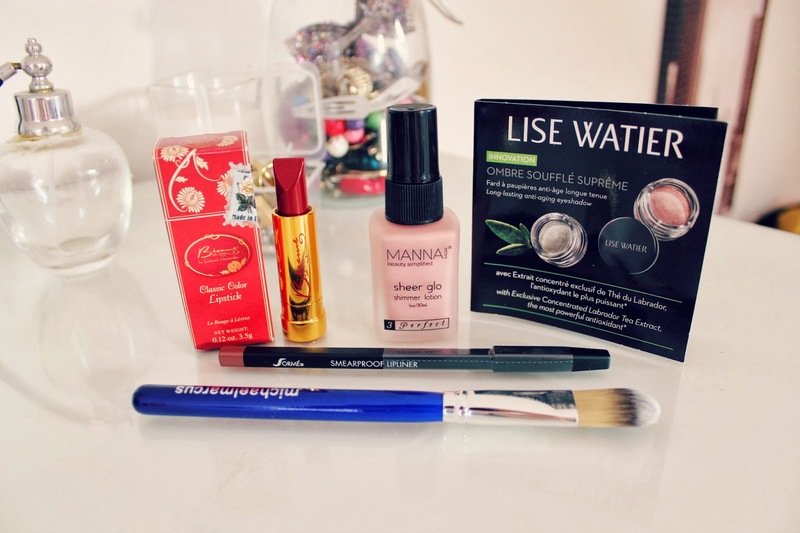 Have you ever bought a subscription box?